Due to the ubiquitous nature of technologies and information these days, utilizing innovative methods to promote brands and products has become an ever evolving phenomenon. If you follow the retail trends mentioned below, you could benefit from early adoption to capitalize and promote your retail business. Digital signage, and especially free digital signage to be specific, is an evolving trend in the retail market. These days, due to the ubiquitous nature of smartphones, tablets and computers that are always connected, it is easy to push messages and alerts to these devices. There are different ways that this can be implemented. For example, a growing trend is to add product information to QR codes and NFC tags so that if a retail customer requires further information about a product, they can get it instantly on their mobile device. Also, retailers can broadcast messages via Bluetooth so that customers interested in offers and promotions can receive them on their mobile devices instantly. These messages can be in video, text or animated formats due to the easy access bandwidth. Additionally, internet bandwidth can be provided by the retail outlet to the customer in the form of free Wi-Fi, if the customer is in close proximity to the retail outlet. Current technology is such that retail stores don’t need to promote their products through expensive printed promotions or adverts anymore. In the past, and in most retail businesses today, if you want to promote traffic to your store, the most common thing to do is to put coupons and/or advertisements in magazines and newspapers in order to reach your target audience and draw them to your shop. Technology, however, is already in place so that anyone passing near your retail store can instantly get messages or digital coupons to come in and take advantage of given offers. For example, you could offer a 50% discount, to anyone who comes to your store, by sending a digital coupon message. • Successful promotions can easily be duplicated within a very short time. Because messages or apps can be pushed to personal digital devices, i.e. smartphones and tablets, it is much easier for the retail stores to interact with potential customers. This can be done in several ways including, social media, apps, such as games that are designed to build the brand and product awareness, and so on. Retail stores have always seen the advantage of rewarding customers who are loyal to them. This can even be simplified because, through the use of an app, you can easily track a customer’s information and have it available when it is needed. Author Bio: Sujain Thomas has been an entrepreneur for the last 17 years. 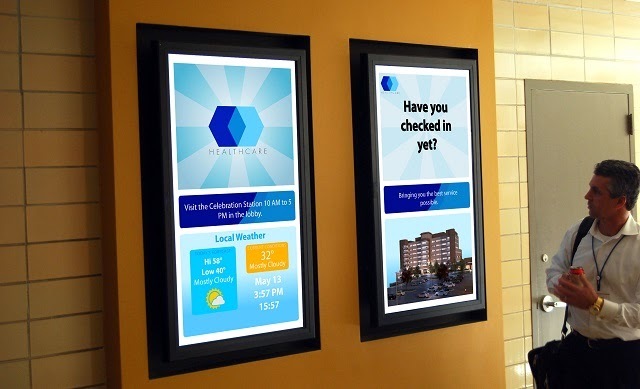 She is very tech savvy and utilizes free digital signage to promote her business. Visit her blog for more information.